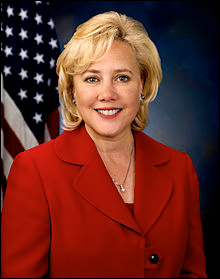 A new national political paradigm may have begun this weekend in northeast Louisiana. There, businessman Vance McAllister (R), who certainly ran as a political outsider but not an overt Tea Party Republican, easily overcame and defeated the GOP establishment candidate, state Sen. Neil Riser. 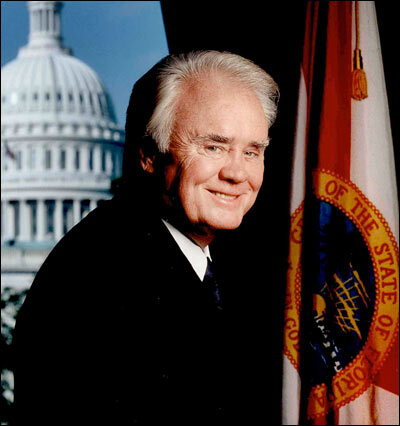 Last week, the House Republicans’ most senior member, Florida Rep. Bill Young, announced that he would retire at the end of the current term and not be on the congressional ballot for the first time since 1970. On Friday, the 82-year-old congressman passed away due to complications from a serious back operation. Young had endured chronic back problems ever since surviving a small plane crash the year he was first elected to federal office. In the entire House, only representatives John Dingell (D-MI-12), John Conyers (D-MI-13), and Charlie Rangel (D-NY-13), had more seniority than Young. The late congressman was the House Appropriations Defense Subcommittee chairman. He served as full Appropriations Committee chairman from 1999-2005. Young’s western Tampa Bay peninsula district now becomes the House’s fourth vacant seat. Gov. Rick Scott (R) soon will call a special election to fill the position for the remainder of the term. Political musical chairs were already beginning to move due to the incumbent’s retirement announcement, but now potential candidates will be forced to quickly make decisions as we head toward a special election. Action is now occurring in three separate special elections: New Jersey, Louisiana and Alabama. In two of those states, voters will cast ballots this week. On Wednesday, the New Jersey Senate special election will be decided as Newark Mayor Cory Booker (D) and former Bogota Mayor Steve Lonegan (R) face each other in the final vote. The winner of Wednesday’s electoral contest serves the remaining portion of the late Sen. Frank Lautenberg’s (D) term and will be eligible to seek a full six-year term next November. The race has yielded rather extraordinary polling numbers in that several diverse survey research firms all agree over the race’s status. In the past week alone, four pollsters all projected Mayor Booker to have a low double-digit lead; two, Rasmussen Reports and Quinnipiac University, found exactly the same margin, 53-41 percent. Most other pollsters have been around this same range for the better part of two weeks. The numbers still strongly suggest a Booker win, but a closer result than originally projected – an analysis that we have been reporting for the better part of a week. Such unanimity of exact polling results from multiple sources is quite unusual, however. Come Thursday morning, it is more than probable that Mayor Booker will be a senator-elect and the chamber’s party division will return to 55D-45R. The special election not attracting much national attention is scheduled for this coming Saturday in northeastern Louisiana. Rep. Rodney Alexander (R) resigned mid-term to accept a position as director of the Louisiana Department of Veterans Affairs in Gov. Bobby Jindal’s administration. Upon Alexander’s announcement, the governor quickly scheduled a new election so that the winner would be able to serve the entire second session of the 113th Congress, which begins in January. Two days ago, Rep. Rodney Alexander (R-LA-5) surprisingly announced that he would retire from Congress. Yesterday we find he means to exit right away, leaving mid-term in order to accept a position in Gov. Bobby Jindal’s (R) administration as the state’s Veterans’ Affairs Director. Jindal (R) has already taken action and defined the 5th District special election calendar. As you most likely remember, Louisiana employs the jungle primary system, which means all candidates appear on the same primary ballot regardless of political party affiliation. If a candidate receives an outright majority of the vote, said individual is elected. If no candidate secures at least 50 percent plus one vote, then the top two finishers advance to a final run-off election. In this instance, Gov. Jindal has chosen Oct. 19 for the first election, with the run-off to occur on Nov. 16. The candidate filing deadline is a quick Aug. 21, therefore giving prospective candidates little time to decide whether they will make the race. Already, two state legislators have announced their special election candidacies. Republican state Sen. Neil Riser and Democratic state Rep. Marcus Hunter will both soon form campaign committees. Alexandria Mayor Jacques Roy admits that he is considering running, saying that he believes his “centrist Democrat” philosophy is in line with the majority of the 5th District’s constituency. The 5th CD consumes all of northeastern Louisiana and then takes the upper half of the state’s eastern tail. The Alexandria and Monroe areas are the largest population centers, but each metropolitan region fails to top 65,000 residents. Mitt Romney defeated President Obama here 61-38 percent in 2012. John McCain carried the seat 62-37 percent over Mr. Obama in 2008. Republicans are the early favorites to hold the district. Two new polls were released covering northeastern 2013 political action. In the Garden State, Quinnipiac University (Aug. 1-5; 2,042 registered New Jersey voters) tested the upcoming governor’s race where incumbent Chris Christie (R) appears to be steaming toward re-election. A new Public Policy Polling national survey (Jan. 3-6; 1,100 registered voters; 400 Democratic and 536 regular Republican primary participants) projects Hillary Clinton to be in the strongest position of all potential 2016 presidential candidates from either party, but the poll has methodological flaws. According to the data, Clinton would easily capture the Democratic nomination, scoring a 57-16 percent margin over Vice President Joe Biden. Massachusetts Sen. Elizabeth Warren notched 4 percent, followed by Maryland Gov. Martin O’Malley at 3 percent, while Massachusetts Gov. Deval Patrick and Virginia Sen. Mark Warner tallied 2 percent apiece. The poll then paired only Clinton against a myriad of Republican potential candidates such as former vice presidential nominee Paul Ryan, Florida Sen. Marco Rubio, New Jersey Gov. Chris Christie, ex-Florida Gov. Jeb Bush, and Louisiana Gov. Bobby Jindal. Clinton beats them all in hypothetical individual ballot test match-ups, but early results such as these are inconsequential and particularly so in this poll. Of the aforementioned, Christie fares best coming within two points of Clinton, behind 42-44 percent. All of the others trail her in double-digits.